A flawlessly prepared pie dough is a thing of beauty. Pie crust should hold together enough to contain the filling, yet be flaky and crumbly to the bite. Used for both sweet and savory preparations, once you’ve mastered the techniques for creating good crusts and delicious fillings, you can get as creative as you like – your only limit is your imagination! Shortening is the most popular fat used due to high melting point, cost and flaky result. However, as butter tastes better, many recipes combine fats. Water is added for gluten development. Too much though, it becomes tough. Too little, crust falls apart. Thickeners such as cornstarch, gelatin and waxy maize (for freezing) are combined with other ingredients to create the texture needed for pie fillings. For one of my favorite basic pie crusts, check out Martha Stewart’s recipe. 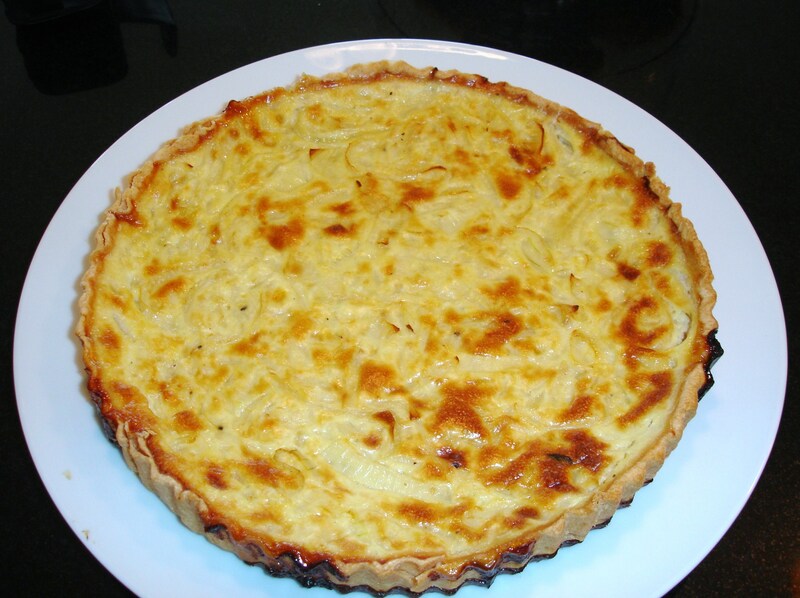 And definitely try my recipe for this savory pie – Tarte a L’Oignon.